It was hard to say goodbye to Ault na Goire and the warm hospitality of Janet and Alec Sutherland. 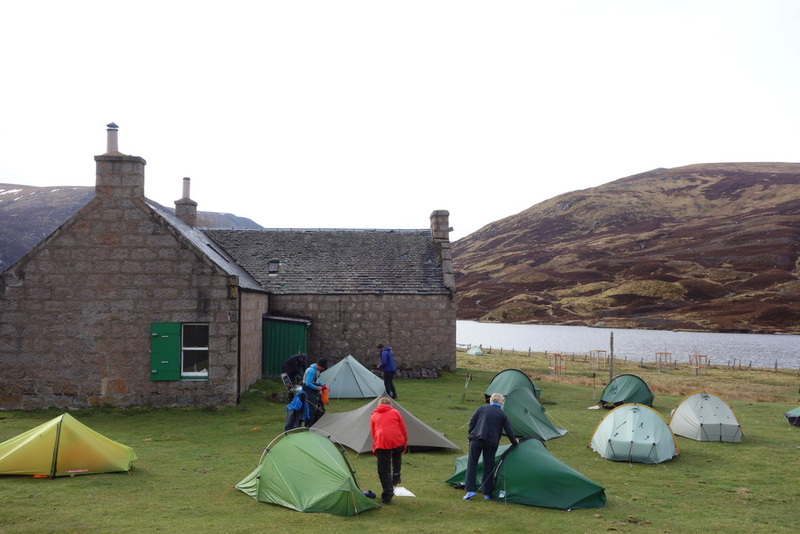 After a very filling breakfast I took my tent down and set off toward the Monadhliath Mountains. Not so much mountains as long, rolling hills, this was perhaps the area that I was most excited to see and also most anxious to get across. In bad weather with rain and fog, navigating through these indistinguishable hills can be notoriously difficult. But what I really wanted to see was the impact of rapidly expanding wind turbine developments. Wind power is a controversial topic in Scotland. In most places it’s thought of as a clean form of power. 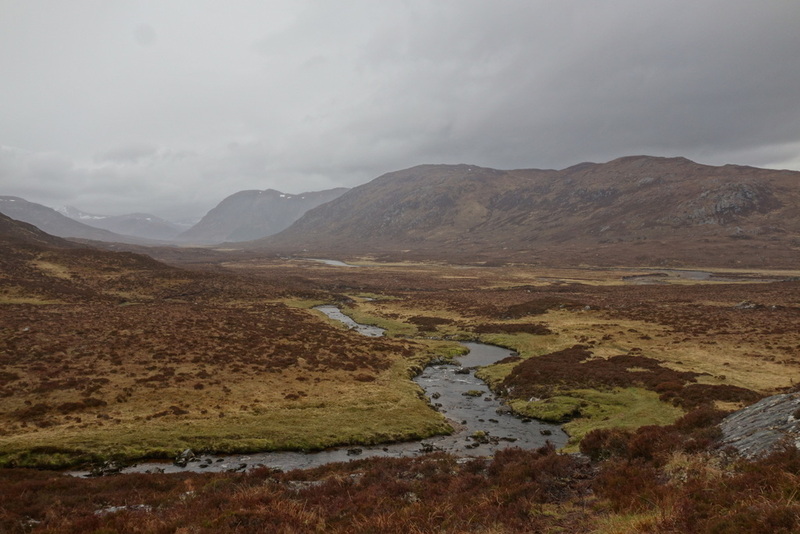 But in the Monadhliath you can see first-hand how it’s rapidly changing the face of the landscape. Construction and access roads criss-cross the land and heavy machinery thunders by. What’s left of this wilderness is fast disappearing. About as soon as I could I left the wind turbine roads and started walking across the boggy, wet moor. At times I had to make large diversions to avoid steep muddy drops into ravines. I counted at least a dozen stream crossings on the ascent, each feeling colder than the last, as I approached freshly melting snow. Yet, it felt good to walk through wilderness, away from the roads and to follow the tracks of deer and rabbit. While it did rain off and on, there was little fog and I found the navigation within my capabilities. In heavy fog it would be quite the challenge! The first two days of my walk across Scotland were sunny, warm, calm, and really just perfect. It was hard to believe I was actually walking in a place renowned for its heavy rains and violent winds. When I woke up on the third morning of my journey, Scotland decided to give me a taste of the weather it’s famous for. Rain, mist, wind, more rain. This change in the weather coincided with my first true track-less walking of the trip. As I followed the Orrin River downstream to the Orrin Reservoir, I enjoyed taking out the map and practising my navigation skills. The Scottish Highlands are a great place to sharpen your navigation capabilities. Features such as hills are often rounded without distinct points, making them difficult to distinguish from one another. Often, the best way to navigate is to follow waterways (burns, creeks, rivers, etc.) up over the hills then connect with a new waterway to find your way down the other side. I love long walks, especially when they take you right across a country from one coast or border to another. That’s the idea behind the TGO Challenge. Design your own route starting on the west coast and finishing at the North Sea, get advice from experienced Scottish hill walkers, and start walking. This isn’t my first country-crossing journey on foot but it is my first time hiking in Scotland and I was very grateful for the wise advice on such things as where to find beautiful camp spots and where I might want to avoid wind-farm construction. 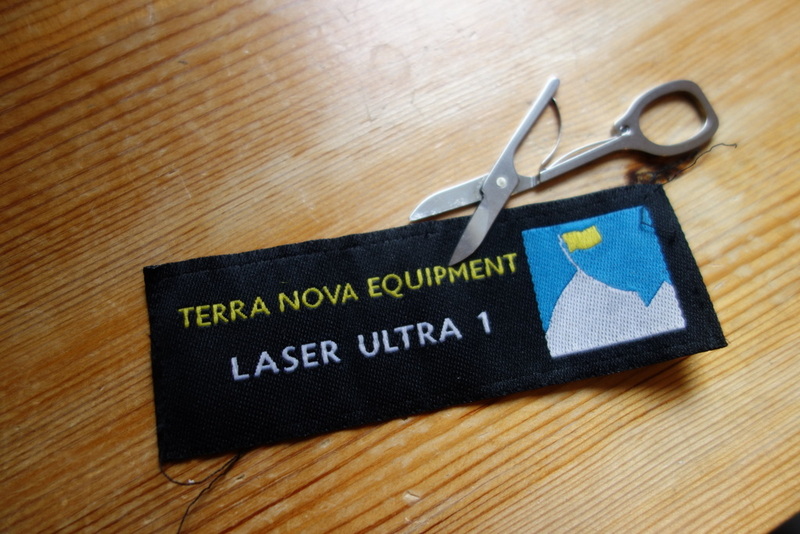 In just a few days I’m heading to Scotland to participate in an annual event where some 300 challengers attempt to cross the country on foot, each following a route they’ve designed themselves. Each year The Great Outdoors Challenge is hosted by The Great Outdoors Magazine. It is a challenge, rather than a race. The goal for each participant is to walk from the west coast to the east coast across northern Scotland on foot in two weeks. 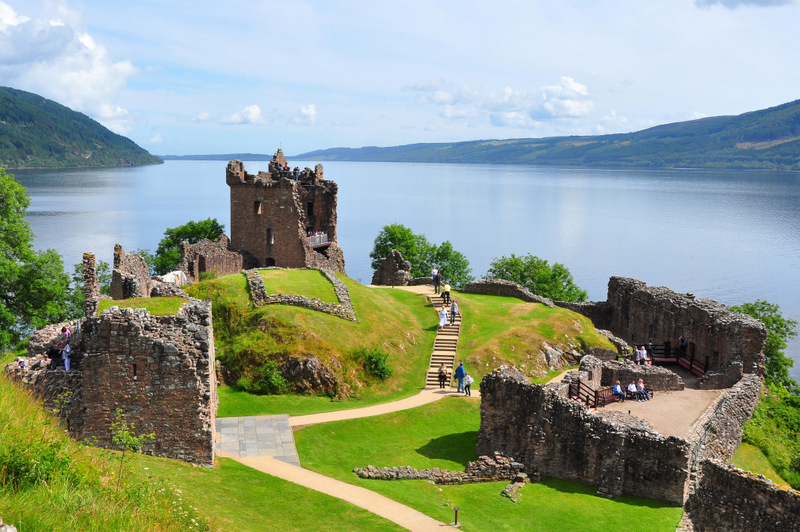 No motorized transport is allowed, with the exception of taking a ferry across large lakes such as the famous Loch Ness. What makes this event especially interesting is that there’s no one defined route. 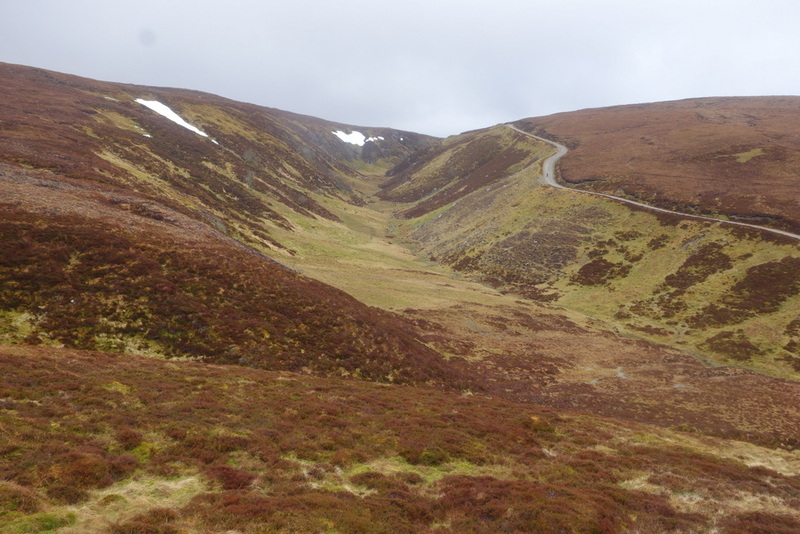 There are many possible starting and ending points and you can choose any combination of trails, jeep tracks, forested glens, boggy moors, and remote highlands that you like. Scotland is notorious for cold, wet weather, especially in May. This year is shaping up to be quite a challenging one with heavy snow still falling and steep icy snowfields remaining on the high peaks. At the moment, the forecast for Lochnagar, one of the high points on my route, is “snow turning to rain” with “severe gales”.